Q: Help! Of all the tomato problems, I’ve seen, this one is new to me. A: This looks like the dreaded Tomato Spotted Wilt Virus (TSWV) which is transmitted by a small insect vector called thrips. The virus is transmitted to the fruit by the thrips piercing into the leaf and removing the plant fluid then injecting the virus into the plant. This virus has very wide host range, including tomato, pepper, potato, tobacco, lettuce and many other plants. Small, brown spots will show up on the leaves of the tomato first and we generally ignore them as they seem common to most vegetable plants. Ultimately, the spots turn brown then the whole leaf will die and droop or wilt on the stem. 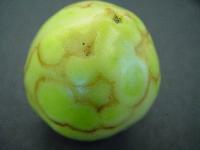 If you are scouting the green tomato fruit, you may see the next symptom which will be rings of yellow or brown with a lighter green color. Once the fruit turns red, the rings will be dark brown. Some successful cultural controls: use highly reflective UV mulch (metalized mulch) around tomatoes; control weeds in and around tomato or pepper fields; do not plant tomatoes and peppers near TSWV susceptible crops such as peanut or tobacco. Q: I purchased 10-10-10 fertilizer for my roses. How much do I use? A: The directions on the bag should address this for you, so when in doubt always refer to the label. But here is a good rule: apply 2 to 3 pounds per 100 square feet between two feedings in early spring (March – April). Apply an additional 1 to 2 pounds of balanced fertilizer per 100 square feet once buds form and continue every four weeks until mid-August. 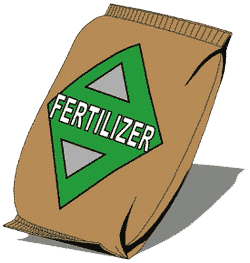 One (1) cup of garden fertilizer weighs about ½ pound therefore for 1 pound of fertilizer you will need 2 cups; for 2 pounds of fertilizer measure out 4 cups of 10-10-10 fertilizer per 100 square feet. It is important to remember the amounts listed above are NOT per rose plant but instead for a whole bed of roses. To determine the total square feet of the rose bed you will need to multiply the length of one side of the bed times the width of the other side. Remember when your math teacher told you arithmetic was important? Well, here you see it in action. One other helpful hint – it is always better to err on the side of less fertilizer rather than more especially as we get an increase in disease and insect feeding in the summer months. So please be judicious in applying fertilizer in warm weather. 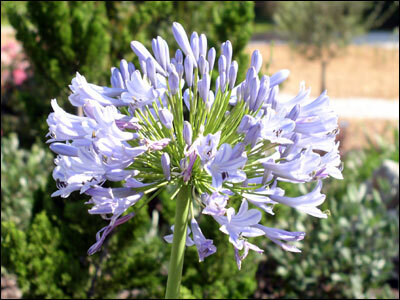 Q: I had purple and white agapanthus. However, I now have only white flowers. Do the purple flowers change to white? Q: What is wrong with my ficus tree leaves? I have been using Neem oil and nothing is working. 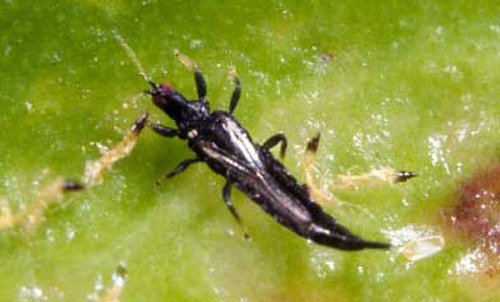 A: The real cause of the issue is Weeping ficus thrips, Gynaikothrips uzeli. 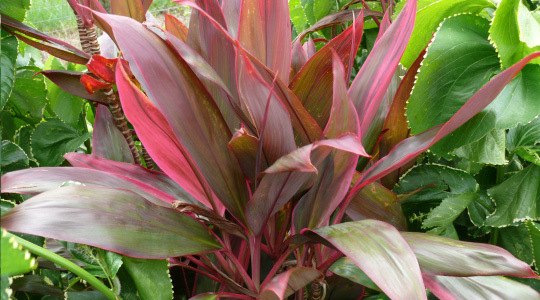 The thrips feed on expanding leaves causing purplish red spots on the lower leaf surface. The leaves become curled and galled, and prematurely drop. Treatments must be applied to protect leaves while they are expanding. Once damage has occurred and populations are developing in tightly curled leaves, adequate coverage with insecticides is extremely difficult. There are no specific recommendations for this thrips, however, pesticide recommendations for other types of thrips feeding on ornamental plants may work. Some research suggests drenching with dinotefuran (Safari) or acephate (Orthene) provided good control but I realize you are reluctant since you have a toddler and want to reduce any pesticide exposure to the child. Tip pruning of infested plants will remove the food source of the thrips in addition to any thrips and eggs present on these new shoots. These thrips are commonly preyed upon by a predatory bug, which many times causes the populations of thrips to drop. However, your plant is enclosed in a patio and will have little chance of getting a predatory insect. You may continue to treat it but you might consider removing the plant and throwing it away. If you decide to destroy the plant, consider placing it in a large lawn bag and tossing it in the garbage. I would not allow other landscape plants to be exposed to this pest. This information comes directly from the UF/IFAS Tropical Research and Education Center. Q: Can you identify these insects for me? 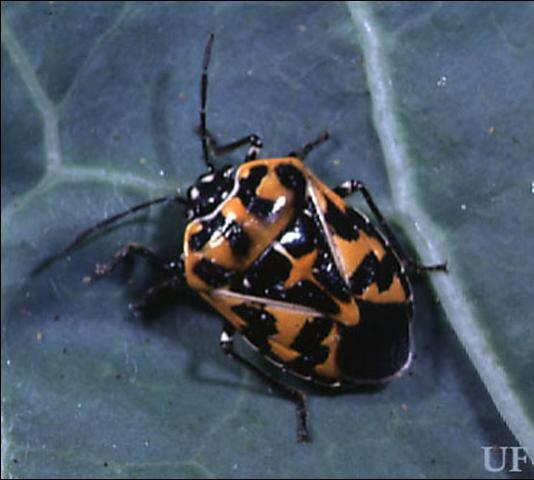 They are all over my kale and leafy vegetables. Q: Can it prune my Ti plant? It is getting too tall and blocking my view. Categories: Tropical | Tags: ti plant, Tropical | Permalink. Q: I am having trouble growing cilantro. Can you give me a couple of hints? 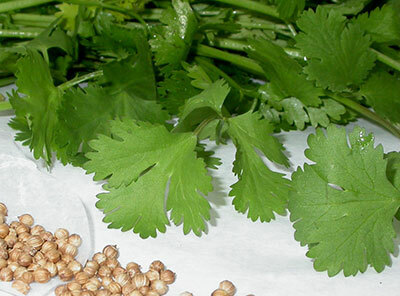 Categories: Herbs | Tags: cilantro, herbs | Permalink.